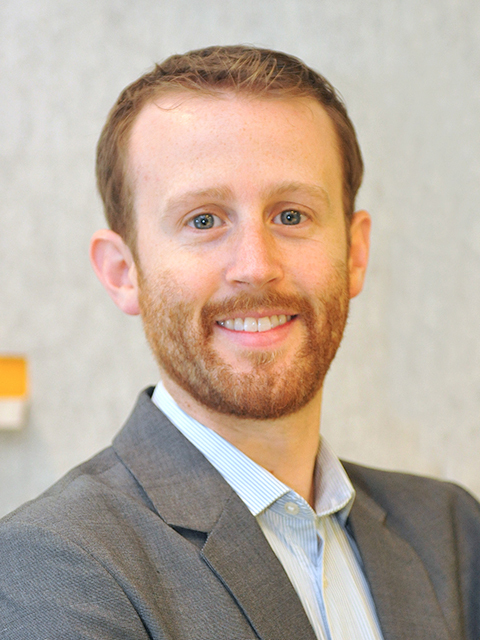 Working to promote the significance of infrastructure in country development has brought alumnus Geoffrey Morgan (BSCE ’11, BA ‘11) something significant as well. This fall, Morgan was named a Young Engineering Laureate by the World Federation of Engineering Organizations for leadership in advancing the Sustainable Development Goals (SDGs), identified in the 2030 Agenda for Sustainable Development, through the field of engineering. As an infrastructure sustainability and resilience specialist for the UN’s Office for Project Services (UNOPS), which is the infrastructure and project implementation arm of the UN, Morgan led the development of an infrastructure assessment tool called the Capacity Assessment Tool for Infrastructure (CAT-I). The central aim of CAT-I is to help countries, particularly those with developing economies, to plan, deliver and manage sustainable, resilient infrastructure from the local to the national level. To do so, the online tool collects information about a country’s capacity to effectively plan, deliver, and manage its infrastructure assets by looking at their governance mechanisms (e.g. policies, legislation, codes, regulation, and enforcement mechanisms) and human resources (e.g. skills and knowledge) and compares it to recognized global best practices. The tool offers recommendations for how a country can improve the way they plan, deliver, and manage infrastructure to make it more sustainable, resilient, and inclusive, which helps achieve national objectives and sustainable development goals. “Once gaps are identified, which result in the loss of sustainability, resilience and quality, targeted capacity building programs and projects can be developed to support countries’ improvement,” Morgan said. By encouraging the development of more resilient infrastructure, Morgan hopes to minimize damage from earthquakes, hurricanes and other natural events. Such occurrences can easily become humanitarian disasters for countries with compromised infrastructure, leading to expensive repair and rebuilding that can often exceed a country’s gross domestic product. Morgan presented this work at the Global Engineering Congress, hosted by the Institution of Civil Engineers and the World Federation of Engineering Organizations, held in London in late-October. Some of Morgan’s other work on the use of infrastructure to enable countries to develop sustainably is detailed in a UNOPS publication, which looks at the direct and in-direct influence that infrastructure has on the achievement of 137 of the 169 targets identified to measure progress toward achieving the 17 SDGs.